–The Sparkassen Chess Meeting will play Round 5 on July 20 in Dortmund, Germany. 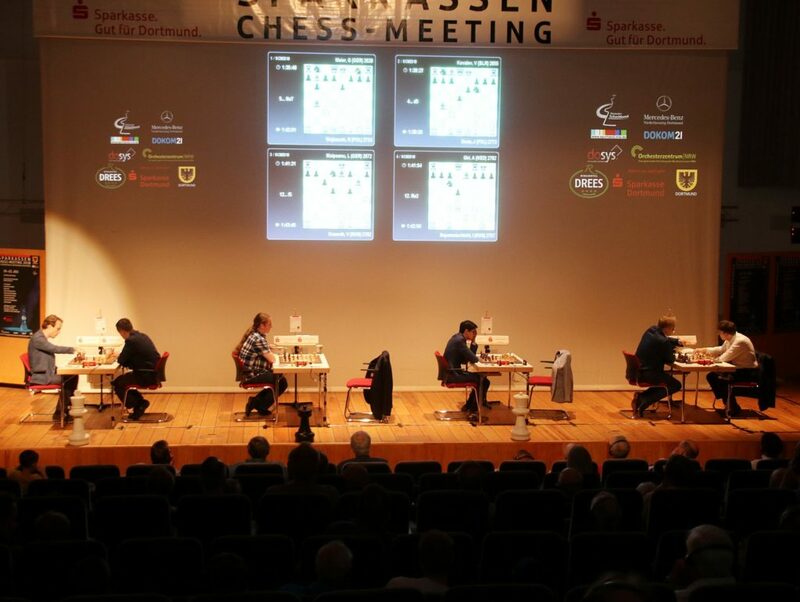 The Sparkassen Chess Meeting–sometimes referred to as the Dortmund Sparkassen Chess Meeting–has been held every Summer since 1973 in Dortmund, Germany. It was held sporadically prior to that with record of tournaments in 1928, 1951 and 1961. The tournament is essentially an ‘invitational’ event though one entry slot is awarded to the winner of Russia’s Aeroflot Open tournament. Vladislav Kovalev is the 2018 representative from that event. There’s an interesting historical sidebar to this tournament’s history–in 2002 it served as the Candidates Tournament for the 2004 Classical World Chess Championship. Péter Lékó won, defeating Veselin Topalov in the finals.